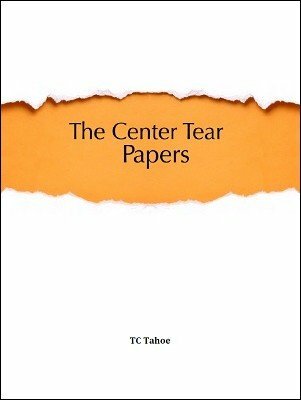 The Center Tear Papers is a collection of graphic, plot lines and scripts to help make the classic center more engaging and meaningful. This is a wonderful ebook that answers the age-old mentalism question, "Why the heck would you have someone write something down on a slip of paper only to have you tear it up a minute later?" I know that a lot of great mentalists such as Richard Osterlind can pull off a center-tear routine without any motivation for what is happening. I'm not Richard Osterlind. Plus, I feel like any time you tear something up or do anything remotely fishy, there should be a reason; for example, Bob Cassidy's Name and Place routine justifies destroying the one billet brilliantly. I feel comfortable doing it because of the motivation. Everything that I've read from TC Tahoe, a true journeyman in the art, has been extremely practical. This is no different. Sure, it's a small ebook with that "mentalism MSRP standard" of $30, but the approach TC takes and the jewels that he gives you, well, impressed the heck out of me. And I'm almost to the point in my study of mentalism where I've seen it all, done most. You can tell that TC has had years of experience doing this stuff successfully because he's scripted the material beautifully, and he gives you some cool graphics too. Summary: If you do any kind of center-tear routine, then this is required reading. In fact, if I were teaching the center tear in a course on the fundamentals of mentalism, this would be one of the texts that I would use. Highest recommendation.